Kurds in Syria have declared the formation of an autonomous government after saying they had not been invited to Geneva-2 peace talks, Russia Today reported Tuesday. North and Northeastern Syria will see the installation of a president and 22 ministries. The decision followed repeated calls and requests from the Kurds to form their own independent delegation at the talks, which began today in Switzerland, one separate from the exiled coalition and other groups. The pro-Kurdish Democratic Union Party (PYD) earlier stated that it would reject any resolution reached at the talks. 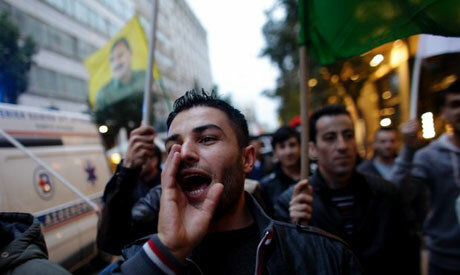 Kurdish anger over exclusion at Geneva spilled over Twitter pages in the past weeks with hundreds of Kurdish activists demanding Kurdish representation at the Geneva conference.